Road traffic accidents happen on a daily basis in the UK. In most cases, these incidents involve minor injuries. However, there are also instances whereby people suffer severe injuries and even fatal injuries. We have helped many personal injury victims to get the compensation they deserve for all types of road traffic accidents. This is something we have over 40 years of experience in, securing millions of pounds worth of compensation for road traffic accident victims. Read on to find out everything you need to know. What is a car accident? What should you do immediately after a car accident in the UK? What should you do if you have been involved in a car accident and it was your fault? Can you claim if a child has been hurt in a car crash? What can be claimed for when making a road traffic accident claim? How much compensation will I receive if I make a claim for a car accident? Why should you choose Accident Claims as your claims service when making a car accident claim? Unfortunately, car accidents are very common in the UK. If you have sustained injuries a road traffic accident, and it was not your fault, you will rightly be thinking about making a claim for compensation. In fact, whiplash claims are some of the most common cases we handle. In this guide, we tell you everything you need to know about claiming for a road traffic accident. This includes details on compensation payout amounts, eligibility, common road traffic accident injuries, and how to go about making a claim. You will also find details on how to get in touch with us for more information or to launch a claim. A car accident is any type of incident that involves a car. This could be a situation whereby two cars collide. It could also be a car colliding with a motorbike or bicycle. Or, it could be an incident whereby a pedestrian gets injured due to a vehicle. So long as you were not to blame, you can launch a compensation case. When it comes to making a car accident claim not my fault, you need to take the steps to gather as much evidence as possible. This involves taking photographs of the scene, as well as getting the contact information of the driver and any witnesses too. Make sure you note some details of the other vehicles involved as well. Needless to say, you should also see a doctor as soon as possible. This is not only vital for your health, but also in terms of building a strong case. Car accident claims whiplash claims and so on all follow a similar process. Once you call us, we will provide you with a consultation, free of charge. This involves one of our advisors asking you some questions, so they can better understand your case, and they can provide you with the best possible advice. You can also ask us any questions you have. We will then assign you the best No Win No Fee solicitor to work on your case. If you need to be seen by a doctor, we can also sort this for you. A lot of people ask us when it comes to car accident compensation how long does it take? We wish we could give you a definitive answer to this, but every case is different. Some claims are straightforward and are finalised within a matter of months, others are more complex and can take over a year. Once you call us, we can give you a better understanding regarding your case. An important factor to note is that you only have three years from the date of the accident to make a claim, so don’t delay. When it comes to fatal car accidents, you can make a claim to cover the cost of a funeral, as well as claiming for loss of companionship. You can also claim for general damages, medical expenses, and punitive damages. To do this, you must be a family member of the deceased or a dependant of the deceased. If you have been injured while you were at work, you will be able to make a claim for compensation if it was not your fault. You need to show that your employer is to blame for the incident. There are many different ways your employer could be at fault. This includes failing to maintain the vehicles used, a lack of training, and failure to carry out risk assessments. A lot of people are fearful about making a claim against their employer, as they worry they will face consequences if they do, i.e. they may lose their job. This is something you shouldn’t worry about, as your employer is only going to land him or herself in further trouble if you lose your job. Check all passengers and everyone else involved in the crash – If you are able to do so, check on everything involved in the crash to find out whether they need medical attention or not. If they do, call an ambulance immediately. If your injuries are minor, make sure you go to a hospital at the earliest opportunity. Call the police – Calling the police after a car accident isn’t always necessary. It depends on the situation. If someone is seriously or fatally hurt, you should call the police. If a crime has been committed, i.e. if you have been involved in a car accident hit and run, you need to call the police. If the accident is a risk to oncoming traffic, again, you must call the police. Watch what you say – One of the biggest mistakes people make is saying too much after a car crash. You need to make sure you do not implicate yourself. When things are heated, it can be easy to let your mouth run away with you. This is why you need to say as little as possible. Get contact details – Finally, you need to make sure you get the contact details of the other driver involved in the crash, as well as any witnesses. Witness statements can really help to strengthen your case for compensation. 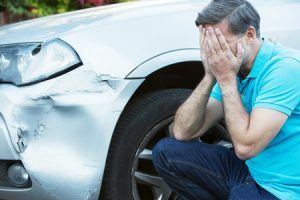 If you have been the victim of a car crash, it is incredibly unlikely you will be able to make a claim for compensation. Nevertheless, if you were partly responsible, you may still be able to make a claim. However, the amount of money you receive will be much lower to mirror your involvement in the accident. The best thing to do is to give us a call and we will be able to advise you further. It is also important to note that you shouldn’t say anything that implicates you after the crash. You may assume the incident was your fault, but something may come to light that will prove the other drive was actually to blame, for example, they may have been over the drink-drive limit at the time of the accident. Car accidents involving children can be incredibly traumatic. You can raise car accidents children claims if you are the child’s parent or legal guardian. In most cases, the money will be put into a trust into the child reaches the age of 18. If you do not claim on your child’s behalf, they will be able to do so once they reach their 18th birthday. They will have three years from this date to claim. General damages – This refers to the payout you will receive for the injuries you have sustained. It covers the pain and suffering you have been subject to. The amount you receive will be determined by taking into account the report put together by your doctor. This highlights why it is critical to see a medical professional when you have been injured. Special damages – This refers to the compensation you receive to cover the out-of-pocket expenses you have been subject to. This ranges from income lost and counselling expenses to the price of travel, childcare, and accommodation adaptions to help you live with your injuries. In order to claim for these expenses, you need to document them and keep proof too. So, make sure you keep a hold of your receipts and any other suitable documents too. 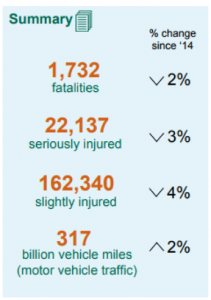 The images below give you an understanding regarding car accidents per region in the UK, and per severity. 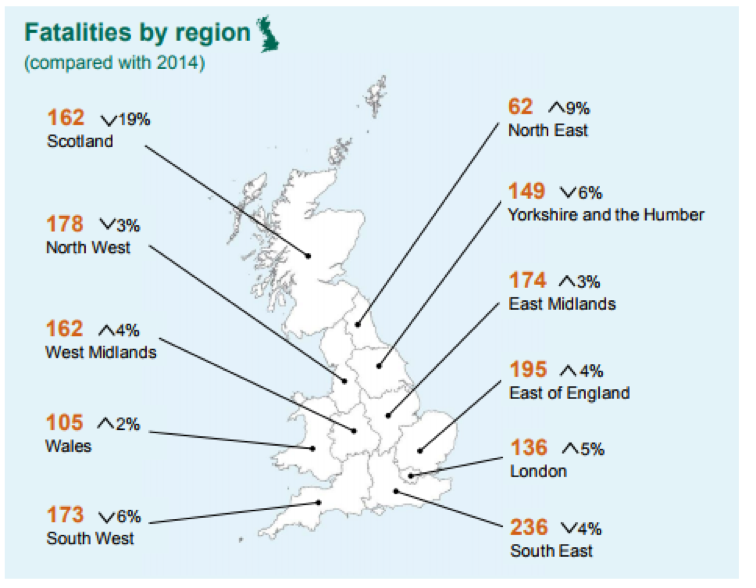 These graphics come from UK Government statistics. Psychological injuries – Psychological injuries are just as important as physical injuries, and we will make sure you get the compensation you deserve. A lot of people suffer psychological injuries when they have been involved in a motor vehicle accident because they have witnessed something traumatic. Injuries can be short or long-term, and they include the likes of emotional distress, continual anxiety, depression, and PST, otherwise known as posttraumatic stress disorder. Internal injuries – Internal injuries can arise due to the impact of a road traffic accident. This includes injuries to the heart, aorta, lungs, liver, spleen, kidneys, and bowels. Facial injuries – Facial injuries are quite common in a car accident. These injuries can be caused by the steering wheel, shattered glass and many other elements of the vehicle. Such injuries range in severity. Severe injuries include dental injuries and serious jaw disorders. Minor injuries range from bruises to scrapes. Back injuries – The lower back tends to be the part of the back that suffers the most damage in a car crash. This includes everything ranging from sprains and strains to herniated discs. Unfortunately, such injuries can cause long lasting discomfort and pain. Spinal cord injuries – Spinal cord damage happens when there is a tear into the spinal cord tissue or bruising, which has happened due to displaced ligaments, disc material, and displaced bone fragments. Loss of feeling and function often happen as a consequence of such injuries. Neck injuries – Neck injuries often happen due to car crashes. This ranges from mild forms of whiplash to more serious injuries, including disc injuries and cervical dislocation. Brain and head injuries – During a road traffic accident, a person’s head can hit an object violently, which can result in a brain or head injury, which is one of the most debilitating and common injuries suffered by drivers. Symptoms range from minor to severe, depending on the injury. One thing a lot of our clients want to know, and understandably so, is how much compensation they will receive if they make a claim. While browsing online, you will have, no doubt, come across a car accident compensation calculator. You can use a car accident claims calculator for a rough estimate of what you may receive, but nothing more. It’s important to recognise that every claim for compensation is different to the next. So, if a solicitor promises you a certain amount of money, please do not pin your hopes on this. It’s not possible to give a specific quote. However, we can give you an understanding of the average compensation for car accident claims. 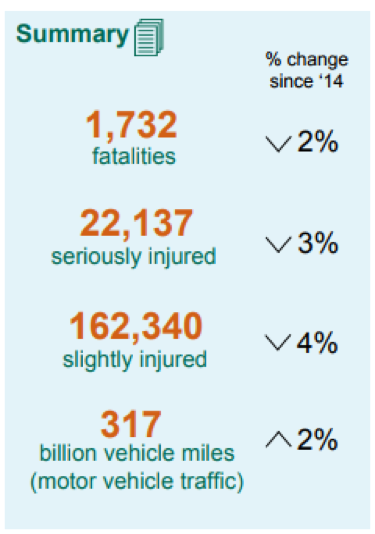 In the table below, we reveal the average payouts for injuries relating to road traffic accidents. Loss of benefits £5,000 - £500,000 If you have missed work, and lost income, you can claim for this. In some cases, injury victims can receive more than the £500,000 maximum payout stated in the left-hand column. Loss of anticipated earnings £10,000 - £400,000 If you are expected to lose more income in the future due to more time off work, you can claim for this. In some cases, injury victims can receive more than the £400,000 maximum payout stated in the left-hand column. Pain and suffering £1,000 - £200,000 How much pain and suffering you have experienced will dictate the payout. Neck injuries – Minor Up to £6,000 If you are expected to make a full recovery in a couple of months, you will receive a few hundred pounds. Aside from this, your payout depends on numerous factors, ranging from how severe the original injury was to what treatment is needed. Neck injuries – Moderate £6,000 - £29,250 This includes cases whereby existing injuries have been made worse, as well as dislocations and fractures. Neck injuries – Severe £34,575 - £112,750 The biggest payout is for severe cases, like incomplete paraplegia. Back injuries – Minor Up to £9,500 A payout of a lower amount is for cases whereby a full recovery is made within a few months. If the recovery takes longer, a number of factors are considered to determine the payout amount. This ranges from the impact of the symptoms on the claimant’s life to the degree of pain encountered. Back injuries – Moderate £9,500 - £29,475 This includes injuries such as muscle and ligament disturbance, and those of residual disability of a lesser extent. Back injuries – Severe £29,475 - £122,350 The most severe cases are those whereby there is disability and severe pain. This includes nerve root and spinal cord damage. Minor injuries £1,050 - £1,860 Recovery made within three months. £525 - £1,050 Recovery made within 28 days. Up to £525 Recovery made within seven days. If you cannot find the injury you have sustained in the table above, please do not hesitate to give us a call for further details. From car accidents involving bicycles to uninsured road traffic accident claims, we handle all claims on a No Win No Fee basis. This is also known as the conditional fee agreement. It was introduced to make legal aid more accessible. Under this approach, you are only going to pay legal fees if your case is successful. It means that there are no large upfront payments and that anyone – no matter their financial situation – can make a claim. It also makes solicitors more responsible, as they are going to be impacted by the service they provide. If a solicitor does not put in the required effort, the claim is lost, and they don’t get paid a penny. This makes your solicitor accountable, which results in a much better service. It also gives you peace of mind. You know that you won’t find yourself in a situation whereby you have a massive legal bill to fund yet you do not have any compensation to fund it with. At Accident Claims, we believe our claims service stands out from the other services available in the UK. We have an abundance of experience in the industry. Over the past 40 years, we have secured millions of pounds of compensation for our clients. Unlike other firms, it is not only our aim to secure a payout; it is our aim to secure the maximum car crash compensation payouts. We have an excellent track record for achieving this. We also pride ourselves on treating our customers well. We know that you are going through an incredibly difficult time at the moment, and you can rest assured that we will be mindful of this at all times. Take a look at some of the comments that have been left by our previous clients and we are certain that this will put your mind at ease. If you are looking for the best car accident claim company, we are certain you won’t find any better. If you are ready to make a claim, you can reach our experienced team on 0800 073 8801. You can also request a call back via our website if you would prefer. We can answer any concerns or queries you may have, as well as talking you through the car accident claims process. So, what are you waiting? Start your claim for car accident compensation today. This link takes you to the UK Government’s website where you will find information on the steps you should take if you are involved in a road traffic accident. You will also find some advice regarding accidents with uninsured motorists. Head to this link and you will find information and statistics regarding road safety, casualties, and incidents. This includes publications ranging from 2010 to 2017, as well as data tables. This link takes you to an important piece of legislation that is in place in the UK: The Road Traffic Act 1988. You can read the act in full, as well as looking at a table of contents and additional resources that have been provided.